Warm weather is here, and with it, long evenings on the patio or deck, outdoor dinner parties, and all of the other things you love most about this time of year. 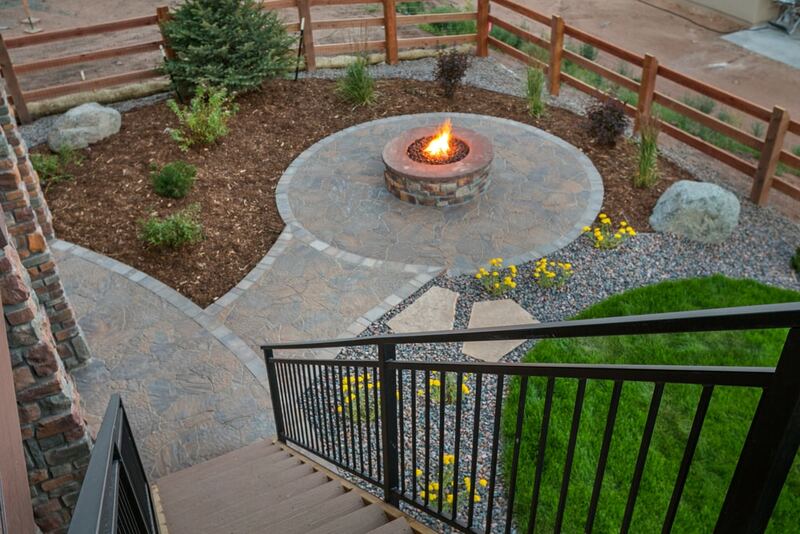 Are you interested in updating your landscaping and outdoor living spaces this year? Perhaps a sunroom, patio, deck or outdoor kitchen to do more entertaining? Or just to give yourself a new favorite place to unwind? Here are the top 5 landscaping trends of 2018 to give you a few ideas. Fire pits are fun and functional, but outdoor living spaces are trending toward a classier and more integrated look. An outdoor fireplace and kitchen dress up your patio or deck and makes it feel more like a part of your home. All Exteriors is the place to shop if your patio needs to be updated to create your dream outdoor living space. Outdoor dining spaces have been growing in popularity for a few years, but lately, they’ve taken on a new trend. Instead of a back patio with an outdoor kitchen and dining table, envision your outdoor dining space as a pergola or screen of a 3 Season Room in the midst of the garden, with lush landscaping all around it. Need to carve out space in your yard for a pergola or patio to create this look? Contact All Exteriors for help with patio design in New Richmond. With outdoor living spaces becoming so popular, private yards are needed more than ever to maintain that same feeling of separation from neighbors that you get inside your home. The solution is a combination of privacy fencing and lush landscaping. Find your local experts and see how you can fence off your privacy from the rest of the neighborhood, and then start planning all of the foliage you’ll need to turn your yard into your very own secret garden. Tired of watering your yard so much? One of the top landscaping and garden trends this year is the low-water garden. This means deliberately choosing plants that don’t need as much watering and care, such as native plants, or designing your garden in such a way that utilizes rainwater more efficiently. Urban gardening has increased in popularity lately as well. Even if you have a large yard and are not limited by space, you may wish to xeriscape your yard except for a few small flower beds, or you might want to incorporate some container gardening into your outdoor living spaces. Outdoor spaces are more integral parts of the home than ever before, so it’s only natural that the trends would be all about making your yard into more livable space. Luckily, if you’re looking for help with roofing, siding, windows, gutters, decks, patios, landscaping, screen rooms or 3 Season Rooms, All Exteriors in New Richmond has exactly what you need. Contact All Exteriors today! 6 Ways to Prepare Your House For All Kinds of Weather Are Seamless Gutters Really Seamless?